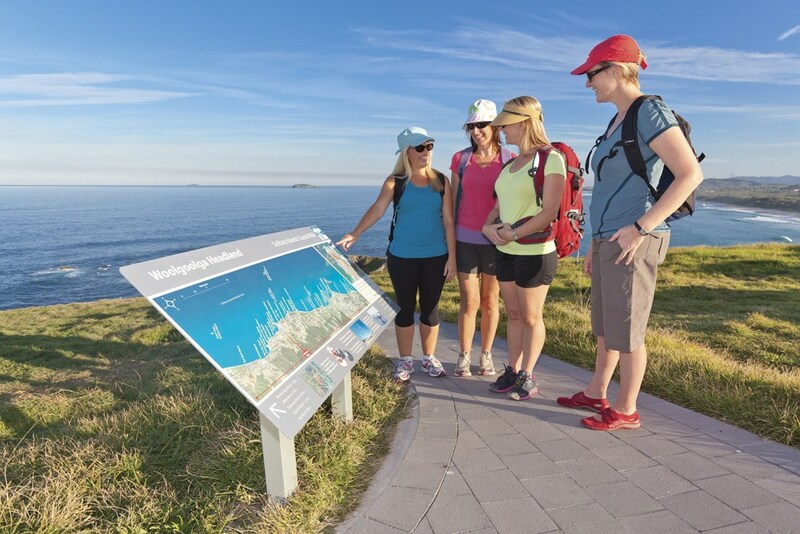 Looking for some light exercise with a million dollar view, then the Solitary Islands Coastal Walk has got it all. 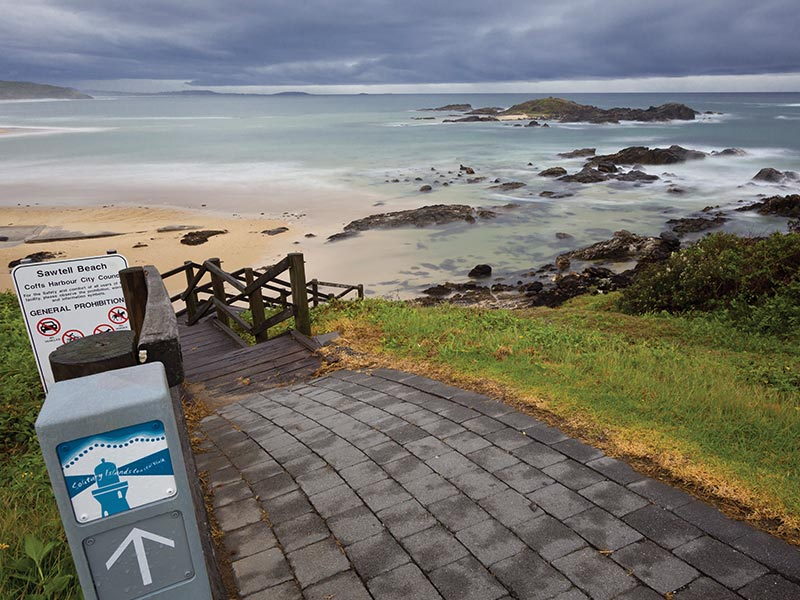 With 60kms of sealed and unseal walking track along the coast line, linking Red Rock in the north to Bonville Headland in the south. This pristine coastal walk can be tackled in 1 day or find your favourite section and cruise at your leisure. The Solitary Island section is best begun at Korora reserve which is located next to Smugglers on the Beach. Park your vehicle at the designated carpark,look for the Lighthouse track markers to guide you along the coastal walk. 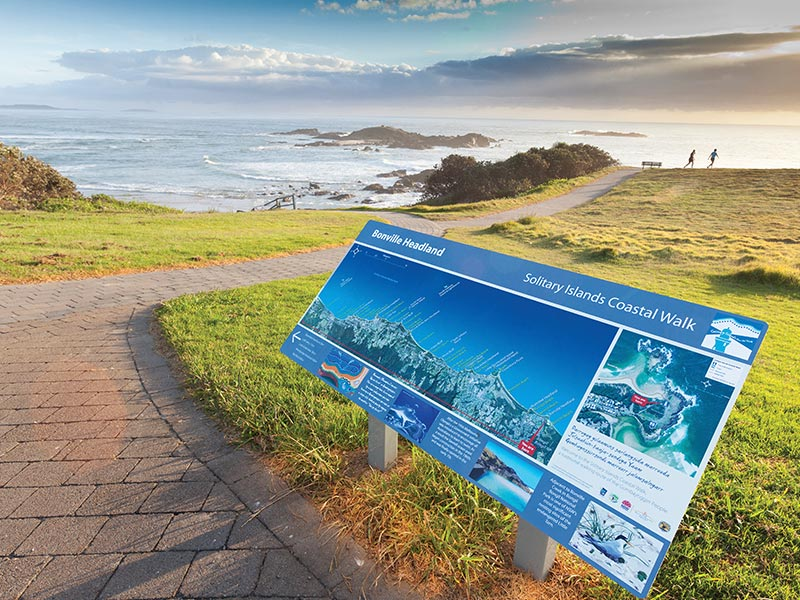 Stop for a swim, make your way to the top of a headland for a spot of whale watching or be inspired for your next home renovation as you’ll be amazed by the beautiful properties that get to enjoy the privilege of the Coastal Walk every day. Be ready to stop for the passing traffic of the goannas, wallabies and the 2 legged locals who wander these paths. The amazing views with the salty sea air and rolling waves will help get those feet moving. There are plenty of amenities and places to re-fill the water bottle along the way. You can even stop off at one of the many beach side cafes or restaurants for a bit to eat along the way. Excellent quality pathways along the Solitary Islands Coastal Walk. Smugglers On The Beach is located right on the walking trail and there are some great walks you can do from our resort. Heading north along the Solitary Islands Coastal Walk from Smugglers you will pass around Korora Headland to Hills Beach, where you will find Horizons Restaurant at the north end of this beach located in the Opal Cove resort. Continue on over the headlands to Campbell’s and then Sapphire Beach, half way along Sapphire Beach you will find Beach Stone Cafe sitting just behind the dunes. You can continue on to Moonee and keep going it you like, but we generally recommend Sapphire as a good point for a decent trek without going to far. Heading South along the Solitary Islands Coastal Walk from Smugglers you will head over the headland with spectacular views and down into Charlesworth Bay. Here you will find Charlies Restaurant located in the Novotel Pacific Bay Resort, or continue on the Diggers Beach where you will find Casay on the Beach (restaurant/cafe/bar) located at Aanuka Beach Resort. Diggers Beach is also quite sheltered and a great spot for a swim. From here you can head over Mcauley’s headland and you will find yourself in the Park Beach area of Coffs Harbour, on a bit further and your at the Marina with a host of options to eat and drink. This can be reached in about an hour depending on your pace. Excellent signage is located right along the walk.